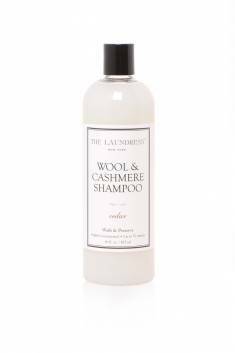 Our pH-neutral fabric wash is gentle on the natural fibers of wool, cashmere, merino, mohair, and more. It thoroughly cleans, removing odor, dirt, and oil, while preserving your sweaters’ soft and supple hand and natural lanolin for decades to come. Designed for the care of wool and cashmere, Cedar is a modern take on the traditional woody scent, combining sandalwood, orange, and rose with a base of cedar. While we love cedar, moths and critters don't! 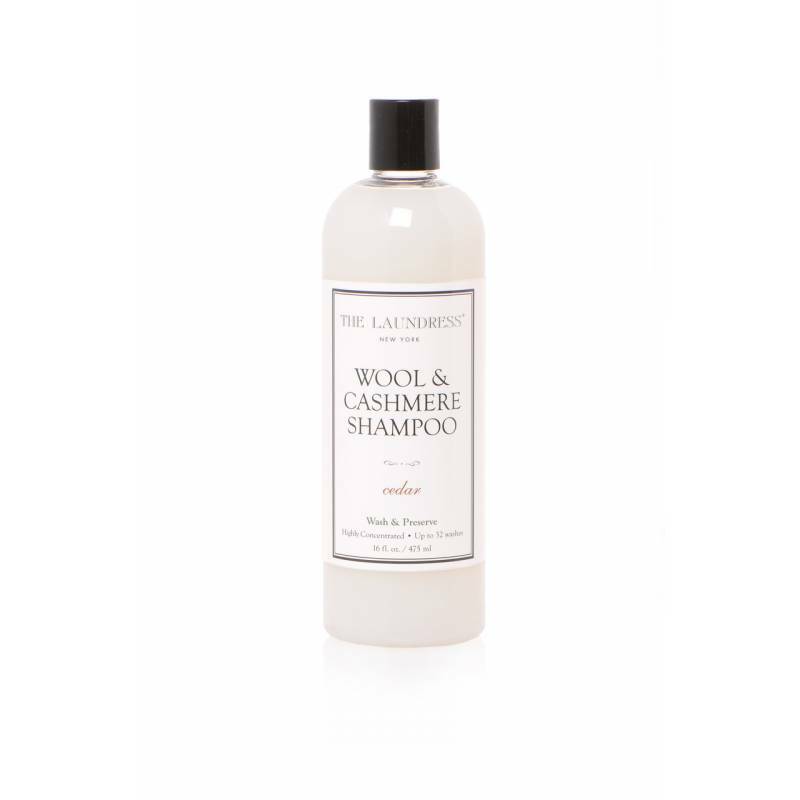 Ingredients: Concentrated blend of plant-derived anionic and nonionic surfactants, essential oils, and fragrance. Color and texture may vary with natural ingredients. 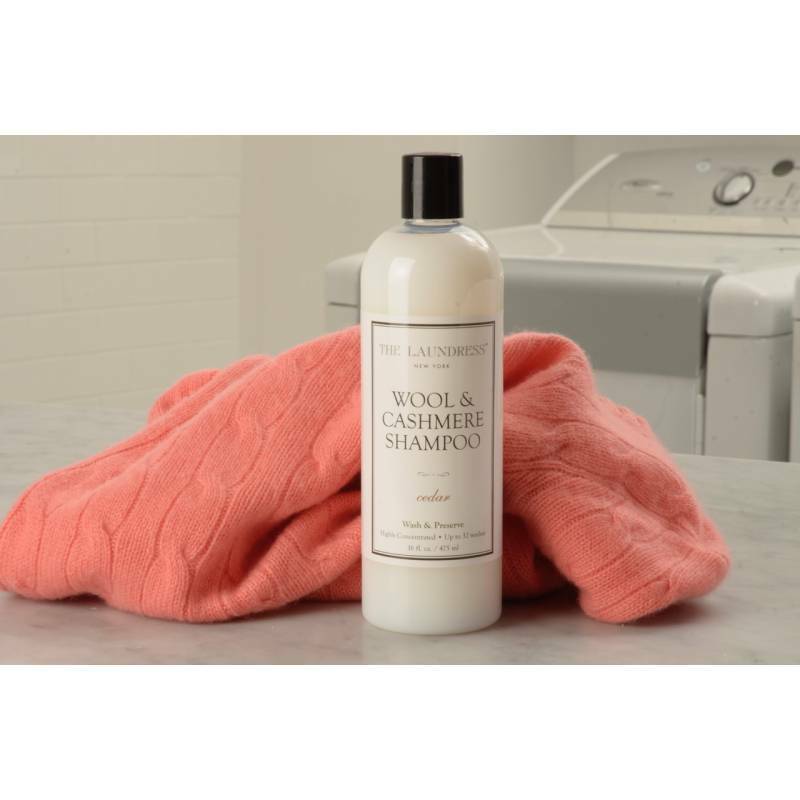 Free of petroleum, phosphate, phthalates, and artificial color. All The Laundress products are tested on Gwen & Lindsey.